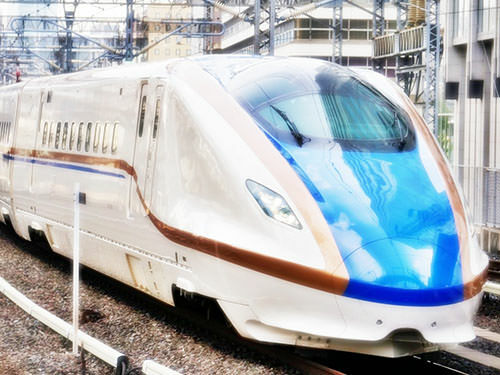 The Hokuriku Shinkansen is a newly expanded route of the Shinkansen (refer to #119), high-speed rail lines in Japan. It connects Tokyo (refer to #133) with Kanazawa City in Ishikawa Prefecture (refer to #138), a part of the Hokuriku Area. 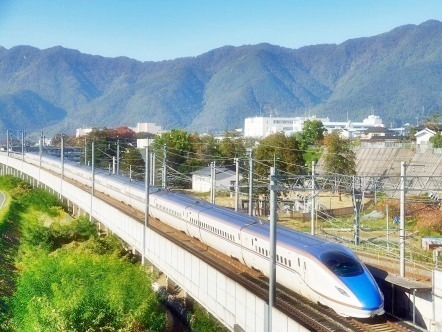 The Japanese word "hokuriku" means "northern land". As its name indicates, the Hokuriku area consists of Toyama, Ishikawa and Fukui Prefectures, which are located at the north side of the Honshu island (refer to #062). It often includes Niigata Prefecture, too.